Long time no speak, friends! I hope you're well. I had my knee surgery and am well on the mend and I very much want to tell you about it, but something else came up and I think it is important that we discuss it first. That picture up there is of a Pop Tart. Well, not a real Pop Tart, but some organic off-brand version of it. And, no, we're not debating whether brown sugar cinnamon is the best/only flavor worth eating, because that's just common knowledge. What we are here to talk about today is how you would put that thing in your mouth. Now, when it comes to things like this breakfast pastry or bread sticks with Parmesan cheese on top, or a bite of food with frosting on it, I will always eat it delicious side down so that the frosting/cheese/brown sugar comes directly in contact with my tongue. I gave this piece of advice to Katie when we were sharing bread sticks the other day and her reaction was suitable considering the life-changing nature of the knowledge. Coasting off of my success with imparting knowledge to Katie and newly armed with the information that not everyone had thought of this, I decided to tell Alex in case this was new information that I could help him with. Alex immediately made the utterly ridiculous claim of, “I don’t like to eat things upside down,” even though he'd ever tried it. Now I turn to you to prove my point. Do you eat your food upside down? If no, is it because it never occurred to you until this moment? Now that you are aware of this, will you always eat top-delicious food upside down? Or, are you like Alex and completely uninterested in living your best life? I'm confident that you all will see reason. And before you ask: No, I wouldn't eat something absurd like pizza upside down. Now you're just being ludicrous. Dorito eating tip: Always analyze each Dorito to see which side has the most cheese powder on it. Place that side of the chip against your tongue. People don’t know the tongue is where the taste buds are? I mean, the delicious stuff is why I’m eating this, right? I don’t understand. I am sometimes one way and sometimes the other way. When I figure out which side of a Pringle has more salt, I will eat it that side down. 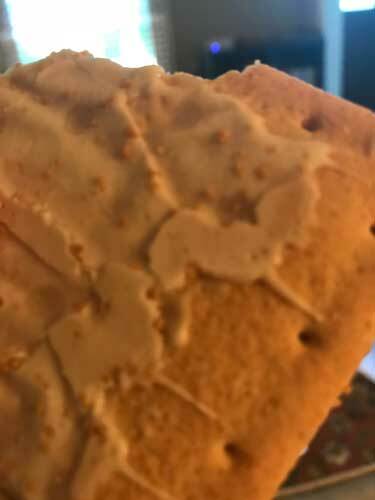 But it is upsetting to think of eating a Pop-Tart upside down---I think it gives me anxiety about the precious frosting cracking and falling off? But I think, I THINK, I flip each bite over once it's in my mouth. Depends on the item. I, too, am worried about the deliciousness falling off and being wasted (or truthfully, I don't want to have to pick it up with my finger and lick it off if I don't have to). So parmesan and poptarts aren't upside down, but pudding with whipped cream on top gets eaten off an upside down spoon.